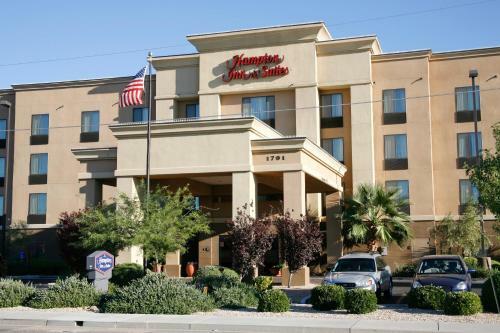 Hampton Inn & Suites Kingman is a 3-star property situated in Kingman. Free WiFi and a 24-hour front desk are featured. At the hotel, all rooms come with a desk. Each room has a private bathroom with free toiletries. Guests at Hampton Inn Kingman can enjoy a continental breakfast. Laughlin is 49 km from the accommodation. The nearest airport is Laughlin Bullhead International Airport, 48 km from the property. the hotel Hampton Inn & Suites Kingman so we can give you detailed rates for the rooms in the desired period.